In evoclean we believe in specialization. 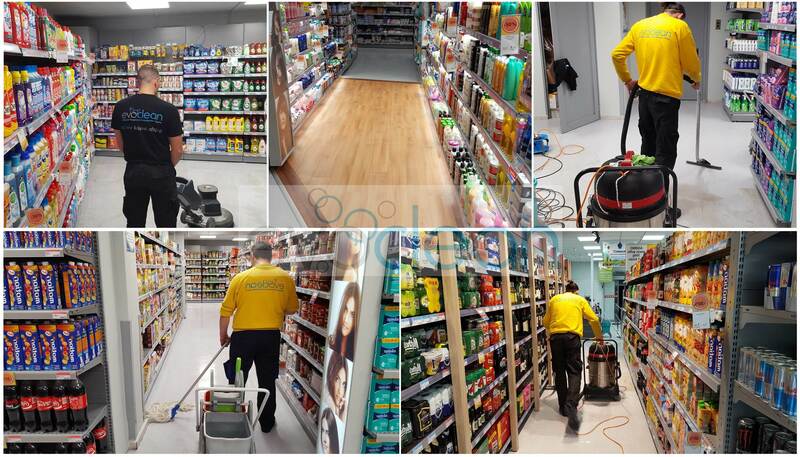 We are devoted to the area of professional cleaning, offering a wide range of services, covering all needs. Commercial janitorial services : General cleaning and Cleaning maintenance of professional / business areas (offices, stores, super-markets, e.t.c. ), on daily or periodical basis. Floor protective coating methods (marble crystalization, LINOLEUM floor polishing, PVC, etc. 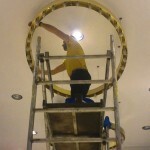 ), marble/granite restoration using diamond disks, etc. Internal / External window glass cleaning with the use of crane trucks to ensure access to any part of your building. 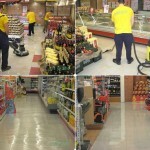 Cleaning of large building settlements such as malls, super-markets, factory industrial floors, etc., with the use of ride-on scrubber/dryers. Upholstery (moquette / fabric covered surfaces) washing, with methods such as shampooing, dry foam, spray extraction. Graffiti removal and sealer application (pore sealing) for permanent resolving of the problem. Escalator washing with the use of escalator machines, specially designed for the use. Cleaning of large outdoor areas with pressure water jets and special sweepers for the best possible maintenance results. 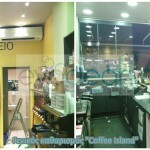 Water jetting cleaning of building surfaces, signs, etc. New and evolutionary Ultrasonic cleaning method, for fast and perfect cleaning of blinds, lights, keyboards/monitors and countless other objects.